Today is THE actual Back to the Future day! The day when Marty McFly travels from 1985, to the ‘future’… today’s date, 21st October 2015. In the movie, the world was expected to be filled with food hydrators, hoverboards and even flying cars, but sadly these predictions haven’t quite come to fruition. 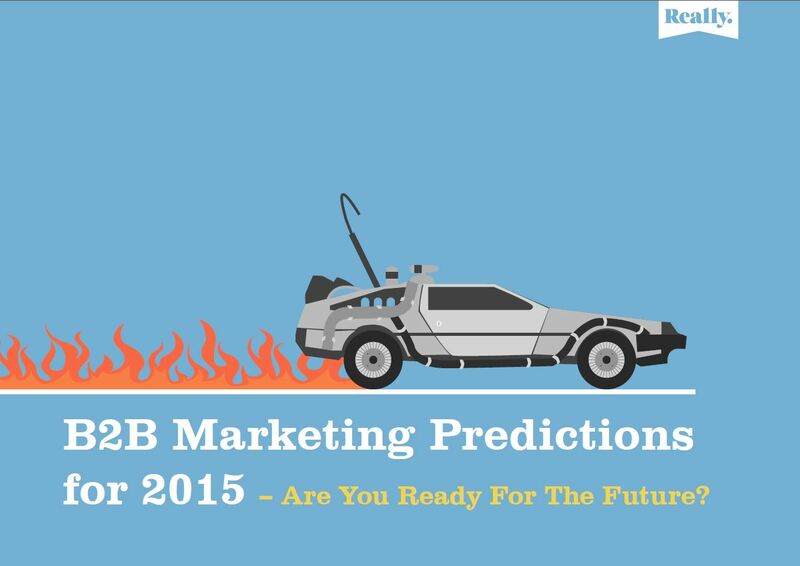 B2B marketing predictions for 2015 – are you ready? Analysts at Morgan Stanley believe that the mobile web will be bigger than desktop internet use by the end of 2015.This is something we’ve all expected, but to see it in black and white is still somewhat of a shock to the system. The reason for this is because in order to generate the best results in 12 months’ time it’ll be necessary for organisations to be providing superior apps, mobile-friendly websites, email, and traditional SMS campaigns.